Located 3.7 miles from London Gatwick Airport, "Oak Tree Lodge" offers accomodation and parking for guests who are staying with us, whether flying in and out of Gatwick, or just visiting the area. Built in the 1930's, "The Oak Tree" was formally a Cafe and a private home. In the 1960's a separate annexe was added to extend the property to the rear. The Cafe was eventually closed some ten years ago and we purchased the property as our home in July 2012. Since then we have worked hard to renovate and re-furbish the annexe, transforming it into luxury en-suite accomodation. Our rooms have their own private entrance, allowing our guests to come and go as they wish without feeling as if they are staying in someone else's home. Coming from a Cabin Crew background, we have been privilaged to stay in some of the top hotels around the world. With this in mind, we have done our best to furnish and equip our rooms with many of the features that we have enjoyed in some of the hotel rooms we have stayed in. From our experience, attention to detail shows that someone cares and it is that same attention to detail that our guests have remarked upon when they have stayed with us. 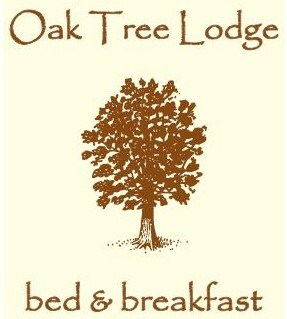 It is our aim here at Oak Tree Lodge Gatwick to provide you as our guest with luxury accomodation and parking, in a private environment but at a very affordable price.